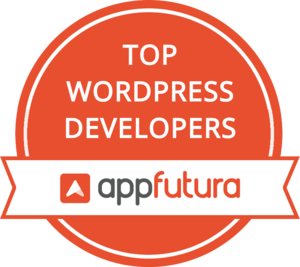 Thinking about improving your website, check the Top WordPress Developers on AppFutura’s directory. You can read Top WordPress Development Companies - 2019 Reviews to have an idea of the previous works from these worldwide Top WordPress Developers. Currently, WordPress is the CMS for a third of the internet web pages. Keep in mind that having the Top WordPress Developers by your side will improve your website project. Check them all in this directory. "The team at OnGraph worked with us for over 5 years - a true development partner through every part of our company's lifecycle. Any issue was solved on demand. Any feature request was develo..."
Our proficient team of WordPress developers has great command in developing CMS websites. We create reliable and user-friendly websites. Wordpress provide easy to use interface and features. We are having an skilled developer who can provide you with responsive theme. It is an rich framework which can be used for content rich website. We work on wordpress platform to develop responsive website, create custom plugins and themes. For developing ecommerce website we use WOO-Commerce plugin. We can create woo commerce add-ons. BBC America, Vogue, Beyonce, Usain Bolt, TIME, and Mercedes Benz are some of the millions of websites currently using WordPress as CMS. Top Wordpress Developers have become unique when talking about Web Development as these companies are in control of the world’s most powerful websites. It does not surprise though that these global companies use WordPress as their Web Software because there are more than 19,500,000 websites around the internet using the work of these top WordPress developers. To be more precise, those almost 20 million websites running WordPress represent the 32% of the webs on the internet. And more than 2,500 of the top 10,000 webs use the technology which Top WordPress Developers work with. But all these data it translates to large sums of revenue for Top WordPress Development Companies thanks to WordPress themes and also WordPress plugins. As an example, 5% of the themes published on ThemeForest earn more than $10,000 monthly. With the Top WordPress Development Companies - 2019 Reviews you can see the thoughts of former clients’ and check the experience of the top WordPress developers listed in AppFutura’s directory. With hundreds of companies around the world, you can choose the best among any Top WordPress Developers available. There are different ways of arranging the listing, you can check the developers by popularity, ranking or even oldest and newest members.